Bennett Ragsdale, age 83, of Voss, died Sunday, September 9, 2018, in Baylor Hospital Dallas. Funeral service will be held 10:00 a.m. Friday, September 14, at the First United Methodist Church, 500 W. Liveoak, Coleman, with Rev. Alan Wallace officiating and assisted by Rev. Jim Kitchens. Interment will follow in the Voss Cemetery under the direction of Stevens Funeral Home. He was born September 11, 1934, at home on the family ranch near Junction, Texas in Kimble County. He grew up on the ranch and attended school in Junction, graduating from high school in 1953. He graduated from Texas A & M University with a Bachelor of Science degree in 1957. While attending A & M, he was a member of the Corp of Cadets. Following graduation, he served in the United States Army and the Army Reserve. On December 27, 1958 he married Sue Beth Day in Eastland. He received a Master of Science degree in Mathematics from the University of Texas and completed part of his degree work for a doctorate at the University of Oklahoma. Mr. Ragsdale taught school in Eastland for several years before moving to Cisco where he taught at Cisco Junior College for two years. He began a long career in education in Brownwood where he taught at Howard Payne University and then became the Registrar there. He decided to return to public school to teach Math and Physics and serve as Math Coordinator at Brownwood High School, retiring from there in 1997. That same year, he and Sue built a cabin at their place in Voss, Coleman County, and later, a home next to their cabin, and have resided there since that time. He was a member of Gouldbusk United Methodist Church where he served as a Trustee and Sunday School teacher. He was the treasurer for the South Coleman County Volunteer Fire Department and participated in the Crime Stoppers Program in Coleman County. He was a long-time member of Kiwanis while living in Brownwood, serving as president for two terms. He was a long-time member of Farm Bureau. Mr. Ragsdale enjoyed fishing and was a member of a fishing club for many years in Brownwood. He was an avid bird hunter. Survivors include his wife, Sue Ragsdale of Voss; daughter and son-in-law, Sha and Johnny Robinson of Granbury; two grandsons, Samuel Robinson of Stephenville and Benjamin Robinson of Orlando, Florida; two brothers, Bobby Joe Ragsdale and wife Reba of College Station and Billy Lee Ragsdale and wife Peggy of Junction; two nieces and one nephew, Cathy Chitwood, Cheryl Fickey and Jim Ragsdale; great-niece and great-nephew, Amie Howerton and James Ragsdale; and by his faithful bird dog companions, Max and Belle. Memorials may be made to Gouldbusk Methodist Church, 6775 FM 2016, Gouldbusk, Texas 76845 or the South Coleman Volunteer Fire Department, 8300 FM 503, Valera, Texas 76884. Visitation will be held on Thursday from 6:00 p.m. until 8:00 p.m. at Stevens Funeral Home, 400 W. Pecan Street, Coleman, Texas. 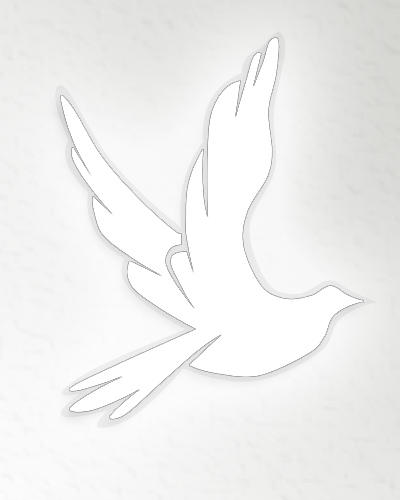 Please leave condolences and remembrances for the family at www.livingmemorials.com.